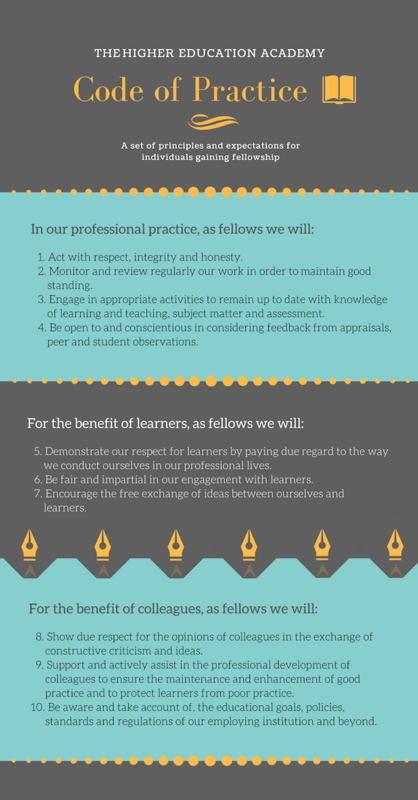 The Higher Education Academy Code of Practice establishes a set of principles and expectations for individuals gaining fellowship. The code embodies the values of teaching professionals in relation to professional practice, learners and colleagues. Adhering to the Code and committing to “remaining in good standing” are crucial to gaining and maintaining fellowship. All applicants to the EFS are required to sign a declaration to this effect.